behind mommy lines: The Stranger SIde of "Vintage"
The Stranger SIde of "Vintage"
Did you know I keep a relic in my wallet? 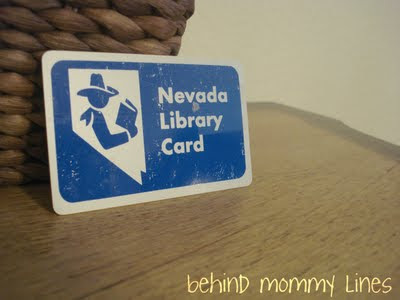 My library card from when I was seven. Which was a big thing to a seven year old. That was my "fancy script." Each time I have to renew it, (It has fallen into disuse with the advent of the internet, my ability to buy my own books, and frankly my plan to upgrade to an iPad... when I become fabulously weathly one day) the librarian tries to sell me on a new card- like one from this decade. I refuse, and the librarian behind the desk always seems a little miffed... with a sprinkling of perplexed. I should try informing them that Dude! It's practically an ANTIQUE! Perhaps it should be in a library MUSEUM! Leave me be, librarians. I like this little plastic reminder of my youth. Of all the books I would pour over, of the frantic book searches and subsequent library runs as we realized the inked due date was upon us. 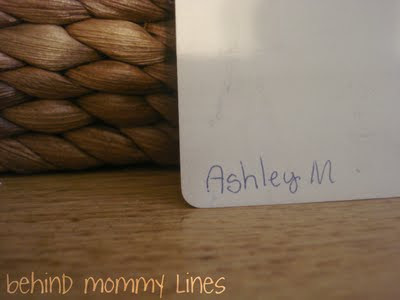 (I'm sure my Mom loved that special time) I just like to run my fingers along my seven year old handwriting, to remember who I was. The girl with huge peach colored glasses, crimped hair, and a big toothy smile. The girl who would climb the umbrella tree in the front yard. The girl who saved her allowance tucked in a big gold bangle bracelet. The girl who slept on My Little Pony Sheets, listening to her pet hamster, Lester running away on his squeaky exercise wheel all night. (yes, I named my hamster LESTER- I CAME UP WITH THAT NAME. I also had a parakeet named Capt. Nemo) She's also the girl who dreamed of becoming an astronaut, from watching the 80's phenomenon Space Camp on VHS- over and over again. That girl is just a fading memory as I watch my girls grow and I get to catch glimmers of her in their bright blue eyes. I love it! I remember my first Nevada library card was that yellow one with the turtles on it. When I traded up for that blue and silver one, I really thought I'd arrived. Ho, no! Those pictures I am taking TO MY GRAVE. My mother convinced me those peach glasses would be cool. SHE WAS WRONG. So very, very wrong.